ST. PETERSBURG, FL – Two gliders were deployed in the South Atlantic Bight ahead of Hurricane Florence making her way to the U.S. eastern seaboard. These gliders will gather vital oceanographic information before the potential life-threatening hurricane. The glider RAMSES was deployed off the North Carolina Outer Banks by Mike Muglia, Coastal Studies Institute. 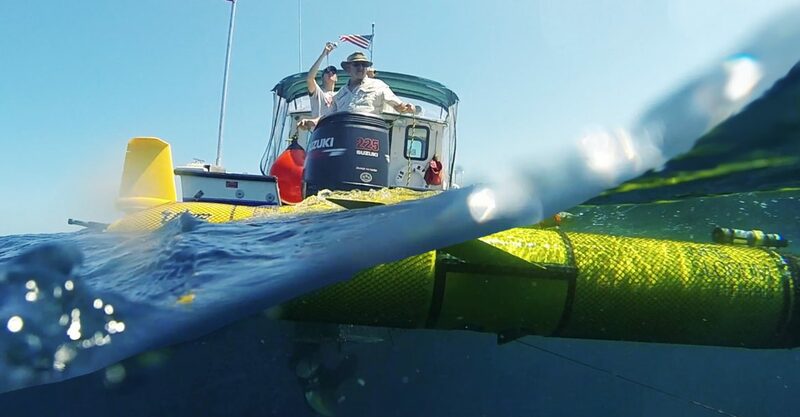 The second glider PELAGIA was deployed off the coast of South Carolina by Catherine Edwards, UGA Skidaway Institute of Oceanography. Glider operators from SkIO, UNC Chapel Hill, and the University of South Florida will track and pilot the gliders throughout the storm. RAMSES and PELAGIA are collecting and reporting water temperature and salinity measurements throughout the water column.